Running with SD Mom: 2015 - Blogging Year in Review! So yesterday, I brought you my Running Year in Review! This time, check out my Blogging Year in Review. And always, don't forget to link up with me and Dani! You can add your Year in Review link to the link up at the end of the post! Wowee! Thanks to very generous sponsors, I have had some fun giveaways this year! Some of my favorites are pictured below! I have to name them all and thank them all for a fantastic year full of support, encouragement and amazing products! Spandits, Medi-Dyne, FitFluential, FitApproach, Revel Marathon Series, Rock n Roll Series, Orange Mud, Superfeet, Skratch, Pony Express Marathon, Showerpill, prAna, Movin Shoes, Headsweats, Pluggz Footwear, Gone for a Run and Nuttzo! I have also enjoyed very special partnerships with Vega, ProCompression, Athleta UTC, Bzees and Hoka One One. By far, and I was pretty surprised, my most popular post was the OOFOS Review & Giveaway. It had almost 1000 more views than the nearest competitor. They are amazing shoes and I am happy to see everyone else thought so too! This one was surprising too! My most popular post was on Why I LOVE Newport Beach! Maybe my nostalgia for my college days shined through the post? 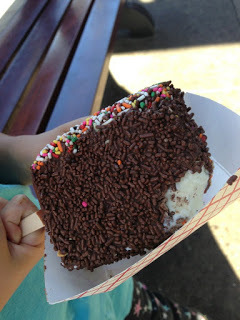 I know I certainly love Balboa Bars! Every once in a while, I go beyond product reviews and giveaways to give you a heartfelt post on my state of things. And my response to the Zelle article that said No to Marathons was my favorite post ever. I called the article "Yes Marathon for Me! 5 Reasons I am Opting In!" 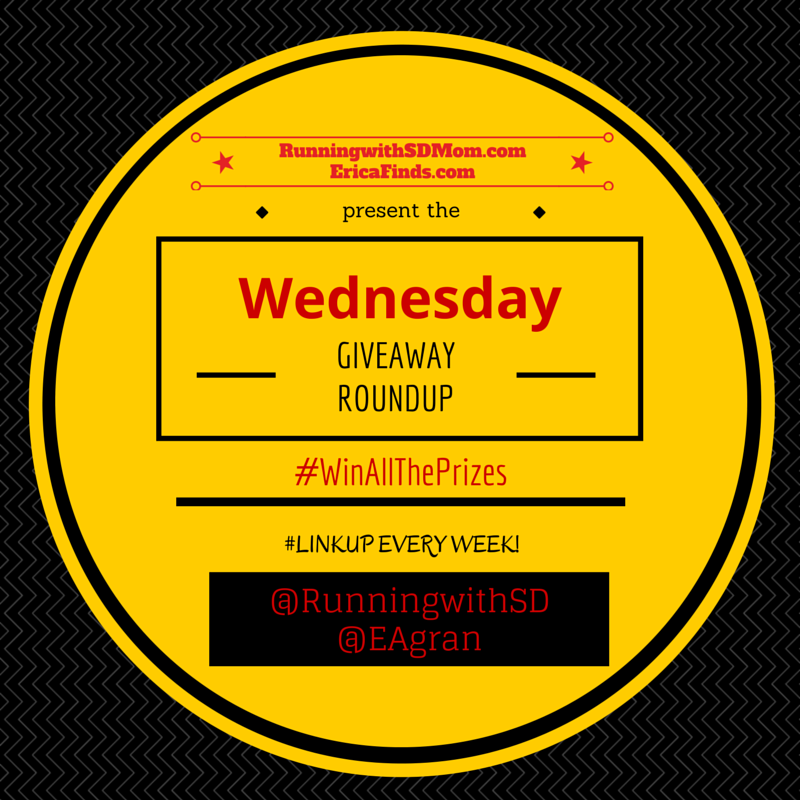 It has to be the Wednesday Giveaway Roundup of course! I am so thankful that Erica agreed to co-host with me this year and can't wait to see what the New Year brings. Rumor has it there will be a new logo! I am definitely holding on to my little corner of the inter webs. But I am not sure how much. I will always be around for the Wednesday Giveaway Roundup and always over on Instagram rocking the cute Spandits skirts and the ProCompression socks but beyond that, I will have to see what the year will bring! I do know that I have met some AMAZING people thanks to being a run blogger and I intend to enrich my garden of friends! Love these people! So there you have it. My Blog year in Review. Have you ever read my blog before? What do you like about it What would you change? Be honest but not mean! Can't wait to see what 2016 brings! I am a new blogger (I started in March) and I have learned sooo much in this short time. Planning out 2016 blogging goals now with the focus of becoming a more consistent and genuine blogger. Congrats on a great blogging year! Thank you! Best wishes for 2016! Sounds like you had a busy but fun year! Hope 2016 is a great one for you as well. Yes! So busy and so fun! What a great year you had! Hoping 2016 is that much more awesome for you! And for you! Thank you! Wow! 60 giveaways, that's awesome! My post popular post was one I wrote in 2012. It was about my breast surgery and it is always the most popular. That is super interesting! I will have to go read it! So that was a bit cryptic....are you stepping back from the blog a bit? You have had an epic year and the blog has exploded! Yay for you!! So many awesome opportunities and amazing people in this little community isn't there!? Cheers to 2016!